A senior Royal Navy official has renewed his pledge to encourage and attract more recruits from diverse communities. Speaking at the annual national concert of the British Carnatic Choir (BCC) in Birmingham last night, Commander Al Gibson said that low numbers of recruits from Black, Asian & Minority Ethnic (BAME) communities was “unacceptable”. 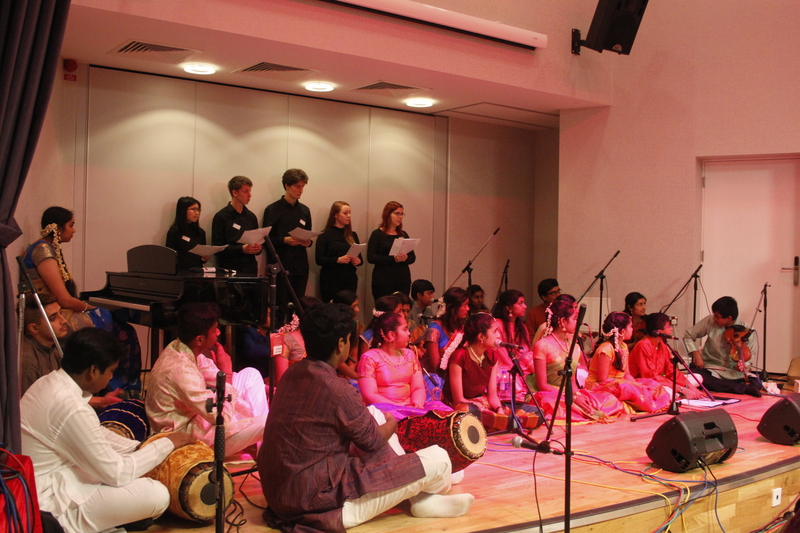 The BCC is the brainchild of Dr Chithra Ramakrishnan, one of the country’s finest Carnatic vocalists and Artistic Director of Shruthi UK, the Solihull-based South Asian arts organisation. It aims to complement former PM David Cameron’s British Values in an attempt to encourage all citizens to respect each others’ ways of life and to celebrate good work, through the sounds, words and pictures of the BCC. Carnatic music is a system of classical music associated with the southern part of the Indian subcontinent. Guests included West Midlands’ Deputy Lieutenant Simon Topman MBE, Her Majesty’s former Lord Lieutenant of the West Midlands Paul Sabapathy CBE and Dr K Somasundara Rajah and his wife Jega Rajah from The Balaji Temple, one of Europe’s largest Hindu temples. Also in attendance was Dr Ramakrishnan’s mentor, Guru Neyveli Santhanagopalan, a highly acclaimed, word-class musician and musicologist. Dr Ramakrishnan paid tribute to her Late father Dr S Seetharaman who she said had been a pillar in her passion. This year she introduced seven awards, including one attributed to her Late father. The other awards for ‘Best’ vocalist, performer, singer, strings, percussion and a BCC Patrons & Trustees award were presented to recipients by Commander Al Gibson and Paul Sabapathy.